As the Qatar-based Al Jazeera Media Network struggles to stay on air in Egypt, it is also coping with conflicts over its Cairo coverage at home. Over the past few weeks, the network’s coverage of what’s happening in Egypt has led to significant divisions among staffers across multiple channels, leading to allegations of bias, resignations and the removal of a prominent newsreader from live news broadcasts, employees have told Doha News. Al Jazeera is funded by Qatar, which has strong ties with the Muslim Brotherhood. According to some senior employees, that relationship has biased editorial policy when it comes to covering the Egypt crisis, which began after the military ousted President Muhammad Morsi in July. Lambasting the network for its “one-sided reporting,” Egyptian government officials have been working to pull the plug on Al Jazeera’s Mubasher Misr (Egypt Live) channel. While trying to cover the conflict there, Al Jazeera staffers have also had their offices raided, been detained and eventually, deported. In the latest turn of events, authorities appear to be jamming the broadcaster’s satellite frequencies. Meanwhile, discontent over Al Jazeera’s Egypt coverage is also growing within the organization, which has seen multiple resignations in recent months. 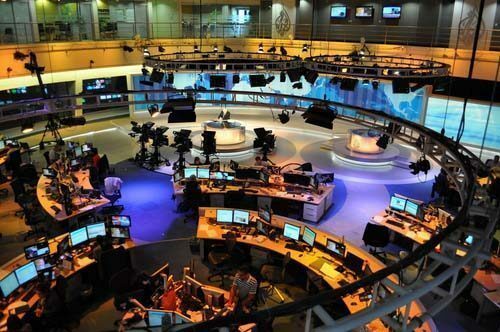 Just last week, four journalists working for Al Jazeera Arabic (AJA) and its Egypt affiliate submitted their resignations in protest against the channel’s policies last week, Gulf News reports. Previously, 22 members of the Mubasher Misr channel had resigned over what they called biased coverage. Inside Al Jazeera English (AJE), concerns of bias center around the removal of senior news presenter Jane Dutton on Aug. 14, following an interview with a member of the Muslim Brotherhood. Dutton, who declined to be interviewed for this article, is currently presenting on Al Jazeera’s Inside Story, the news channel’s in-depth current affairs discussion program. She has not yet been rostered to return to news shifts. It’s understood that many of AJE’s senior management staff were out of the country at the time of the incident, as they were in the US launching Al Jazeera America (AJAM). That staff have felt uncomfortable about the number of days that the situation in Egypt has been at the top of the news agenda, even when they felt the story didn’t warrant it. Al Jazeera declined to comment on the complaints, but told Doha News that they are being handled internally. Note: This article has been corrected to reflect the name of AJE’s executive producer.